What is April to you? April thanks to all who helped me create this post and to you — of course! — for being here, most likely in April. Because dreams are so important to me, I’ve written several posts about dreams (including here, here, here, here, here, here, and here) since I started dreaming this blog. When I look at those previous dreamy posts, I realize I wrote each one never dreaming we’d have the U.S. President we have today. I was having a bad dream and just woke up to another bad dream. Here‘s something a little sweeter to dream by. Before I had those dreams, I spent yesterday looking at a possible dream house for me and my dreamy boyfriend Michael with our dream of a real estate agent, Jane C. Hoffmann. While I was taking photos of Jane, she was also taking photos of me and Michael (which was probably a nightmare for him, since he hates to have his picture taken). Today, we might make an offer on a dreamy house by the sea in Quincy, Massachusetts. If we don’t end up in that dream house, we’ll end up in another one. Quincy, by the way, is called “The City of Presidents.” I wonder if John Adams, John Quincy Adams, or John Hancock — who were all born in Quincy — ever dreamed we’d have the kind of U.S. President we have today. In four days, I’ll be turning 64 years old, an age nobody ever dreamed I’d reach when I was born in 1953 with a very unusual heart. I trust you know I have the intelligence and integrity to express my thanks to all who helped me create this dream of a post and to you — of course! — for your dream of a visit, here and now. Last night, I walked around in the rain, with my bf. We had one umbrella, but we still got wet. That was fun, because it’s pretty hot and humid right now, in these parts. There are going to be thunderstorms for AT LEAST 10 DAYS IN A ROW, if we believe the weather people. #1. 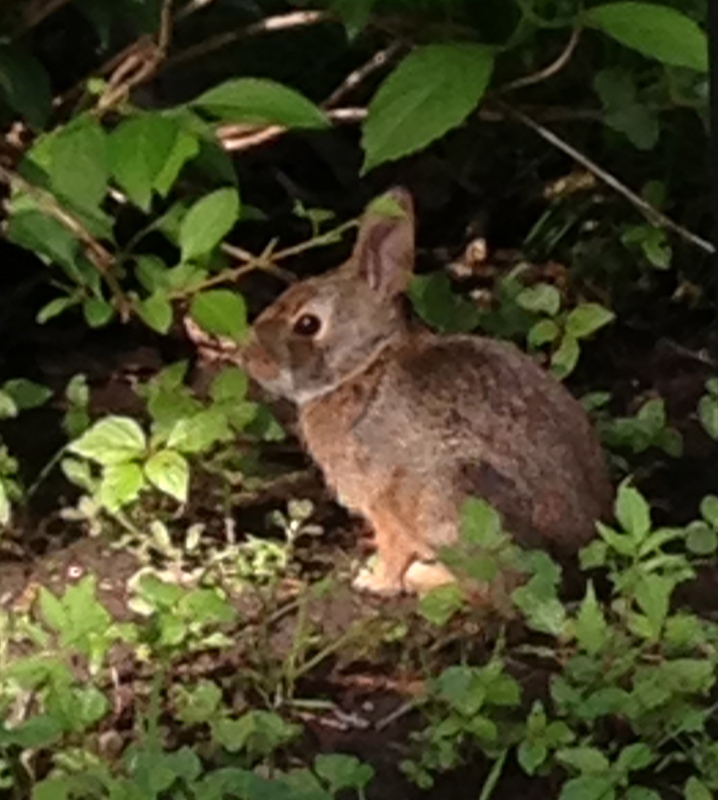 Spotting bunnies — one of my favorite walk-time activities — is still possible, if not probable, when it’s raining. Which is an example of “All-Or-Nothing” thinking, another cognitive distortion. #4. 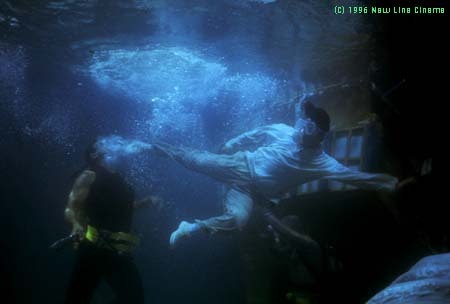 Jackie Chan pretty much always gets wet at some point in his made-in-Hong Kong movies (movies I love, which I wrote about, here). #5. Getting wet is actually not dangerous. Sometimes, I forget that. It’s only water, people. Thanks for reading, this morning. Stay dry, or not … it’s all okay.